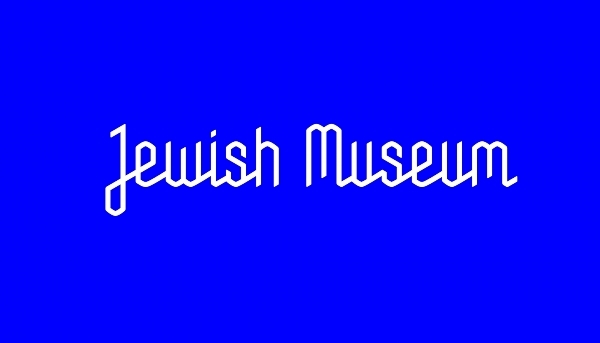 Renowned design studio Sagmeister & Walsh has unveiled a striking new visual identity for the Jewish Museum in New York City. It features a geometric look based on the Star of David, and a black, white and blue color scheme that extends to communications materials, merchandise, stationery, and a revamped interactive website due to launch in May. The museum recently appointed Claudia Gould as its new director, and her brief called for an “engaging, fresh and unexpected” design that would appeal to the 104-year-old museum’s current clientele and attract new visitors, according to art director Jessica Walsh. The Jewish Museum used to showcase avant-garde exhibitions in the 1960s and 70s, and its old logo of a red box came across as outdated now, said creative director Stefan Sagmeister. 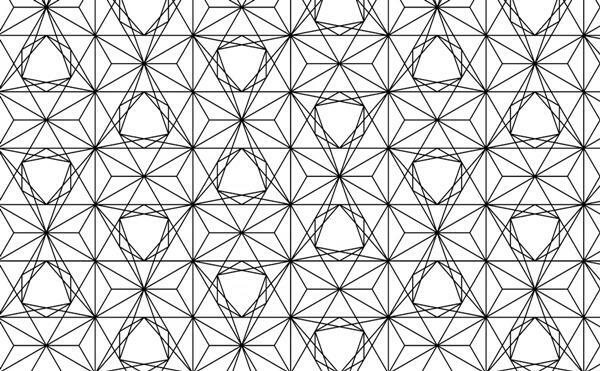 Besides the Star of David, inspiration for the rebranding came from the Flower of Life and Metatron’s Cube. 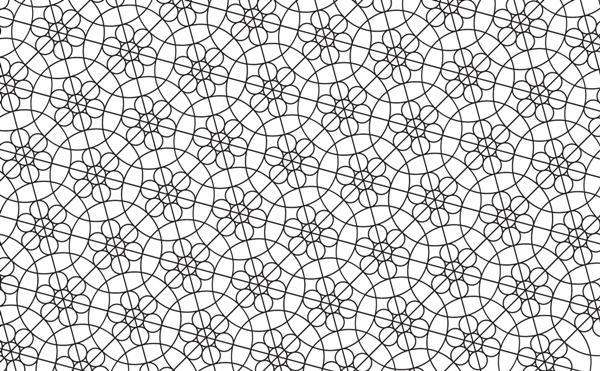 The geometry of the three systems originated from “the belief that God created the universe according to a geometric plan”, and was used in the development and construction of religious buildings and art, said Walsh. 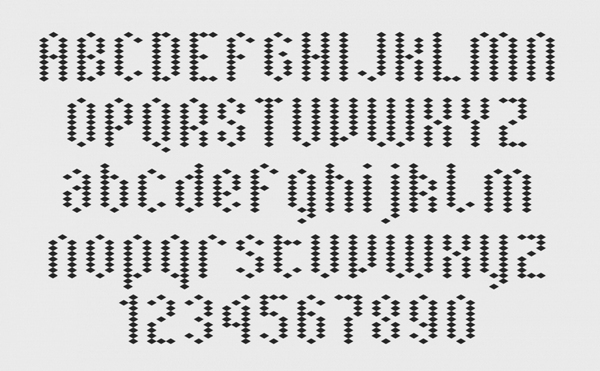 The studio created several typefaces based on grids derived from these three systems, accompanied by the Aperçu font by type foundry Colophon. They can be used for special events, programming, or for the museum’s café or shop, said Walsh. 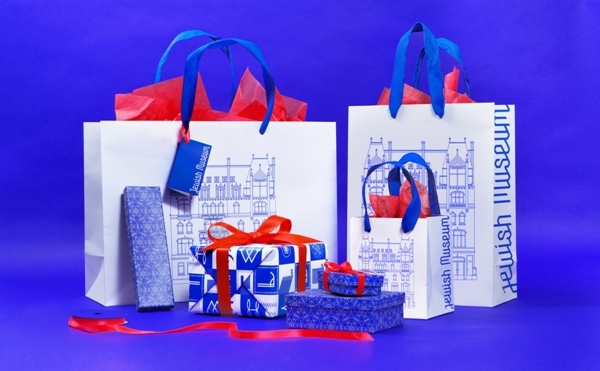 She added that the shalom wrapping paper that was created from a variety of typefaces comes in two variants; a children’s edition and a more elegant patterned adult version. 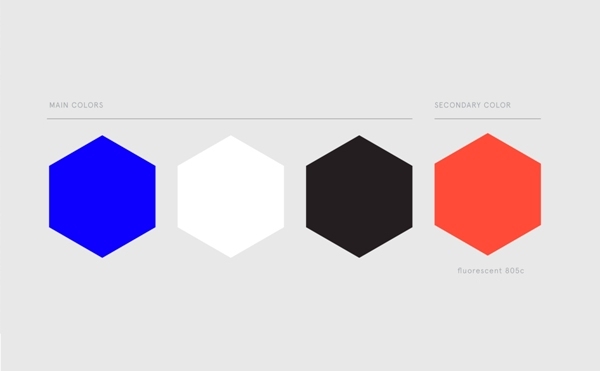 The brilliant blue in the color palette was inspired by Tekhelet, a dye that is mentioned in the Hebrew bible and a significant shade in Jewish culture. Pantone 805c, a neon red and orange color, was added to give the look a modern twist. The biggest part of the project was the overhaul of the museum’s website, its first since 1997. The new responsive website will provide visitors with an immersive experience, allowing them to save their favorite events and items from the museum’s collection to their personal accounts, and share them via social media. It will showcase over 3,000 objects from its collection and features live streaming, video archives and online exhibitions. 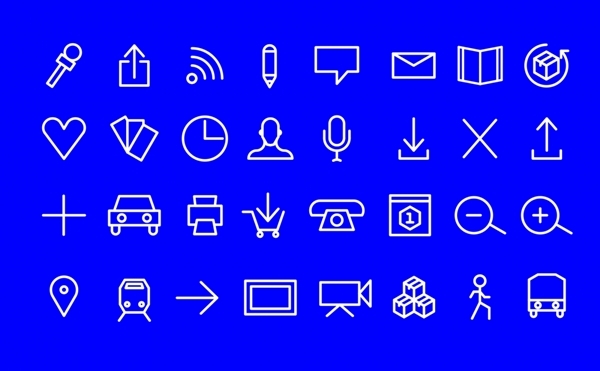 Designer Zipeng Zhu came up with a set of icons and illustrated characters based on the geometry that add personality and character to the website. They will also feature in some print materials. Overall, the new visual identity is a fresh and modern update that reflects both the institution’s heritage and its contemporary exhibitions. Check out some videos and photos of the rebranding below, and find out more about it here. 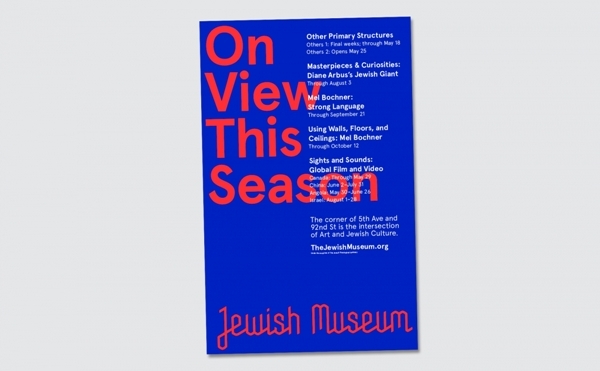 What do you think of the Jewish Museum’s new identity?